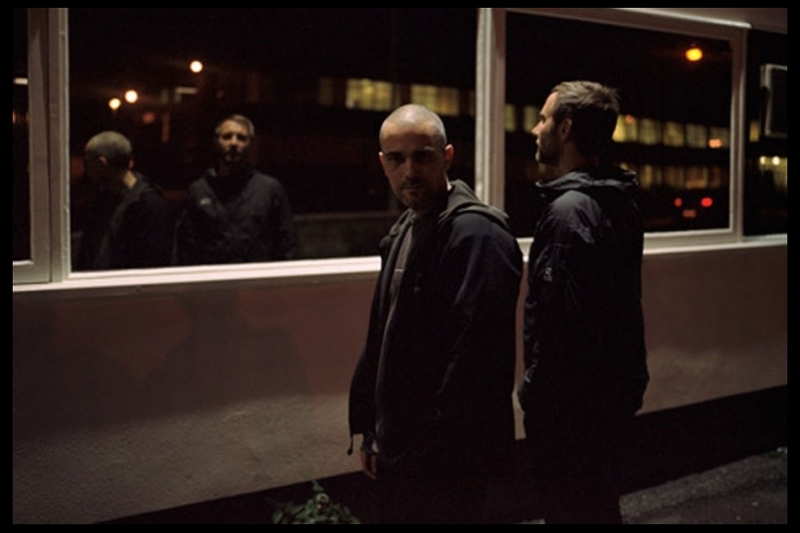 If the copyright ever runs out on the term ‘heavy metal’, Autechre should claim it back from the guitar gods. The future-industrial clang on Exai has a greater metallic yield than any down-tuned Fender, and it would finally help to classify the electronic duo. This being Autechre, Exai’s metallic sheen sound doesn’t evoke oil-caked foundries, blast furnaces, rusty pistons or clanking assembly lines, but pristine beats programmed to the Nano scale – chemical reactions between fringe elements in the periodic table. Autechre fans love a challenge, and after the (relative) accessibility of 2010’s ambient-tinged Oversteps, Rob Brown and Sean Booth have obliged with their 11th album – just over two hours of aural scatter graph points and their trademark track titles that sound like programming language commands. Opener Fleure is an immediate head-storm, with smithereens of percussive pins and needles boarding up any discernible entry points. This first hurdle is worth jumping over, as the obstacles diminish as Exai unfold. Irlite (get 0) is whipped along by Drexciya-style snare snaps before it stops dead and a serene chord swell lets the light in. These ambient flutters reappear among the shattered beats on Jatevee C, runrepik, and YJYK UX, and other sharp corners throughout Exai, a chance to press an ear to a seashell and hear a calming digital wind. A few years ago, Rob Brown virtually disowned Autechre’s first two albums Incunabula (1993) and Amber (1994) as “cheesy”, and the pair’s lush ambient and techno roots aren’t showing much these days. Since the mid-90s they have aimed straight for the head instead of the heart – meticulously concocting algorithms that induce a hive mind of artificial intelligence in their productions. All their early Warp peers have been gradually elbowed out of the duo’s Venn diagram, with Aphex Twin the last to leave in a hail of soft-focus acid squelches on the AFX Analord series. So Autechre’s mission may be to rinse every last trace of humanity out their machines, and the only hint of organic matter on Exai is the spluttering on Flep, but that contorted voice could be a further mutated strain of the District 9 alien prawns. This doesn’t mean the album is an emotionless academic exercise. The mangled hip-hop of the track ‘recks on’ will get heads nodding, and there’s a genuine goosebump moment on VekoS when the beats fold in on themselves as they’re hoovered up into a black hole. There’s even a bludgeoning passage on ‘11 is’ that sounds like a Swans riff blitzed through a digital sieve – it’s as visceral as it gets. Exai is music for the head, but it hits the gut at the same time. It may be over two hours of clanging metal and alien soundscapes, but so is Transformers 2. I did not know anything about electronic music, but then I listened to this a few weeks ago and I’ve been hooked since. Thanks and thanks for following me too. I plan to make a post about exai soon. Ah cheers for the feedback, I appreciate it. It’s brilliant that you’re going in at the deep end with Autechre, they can be pretty dense and impenetrable. Try their album Amber for a contrast. And if you’re hooked you’ve got thousands of amazing electronic music albums to dive into now. Aphex Twin would be the obvious choice after Autechre, or a lot of other acts from the Warp Records label.